In most areas, 25 to 40 millimetres of rain are expected before the end of the day on Monday. Saturday gave southern Quebecers a taste of the summery weather to come — but it seems all good things must come to an end. A major spring storm is forecast to begin Sunday evening across the province. 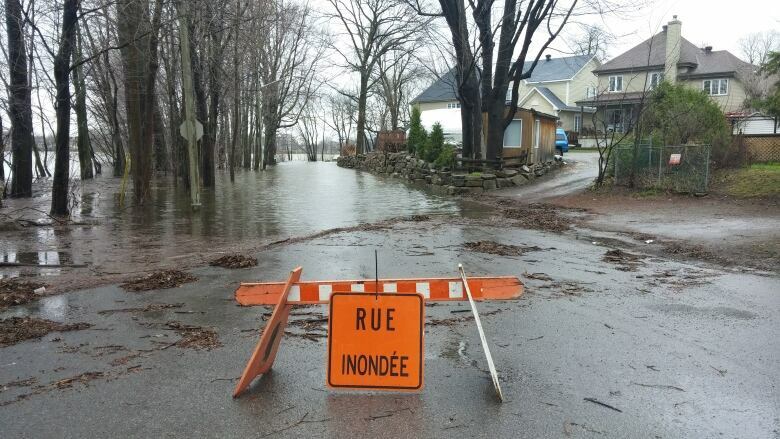 Environment Canada has issued a rainfall warning for the Montreal, Eastern Townships, Outaouais, Laurentians, Lanaudière and Quebec City regions. "The frozen ground has a reduced ability to absorb this rainfall," a statement from Environment Canada said. Flash floods and pooling on roads could occur, the weather agency said. In the Saguenay, Rimouski and the Gaspé regions, snowfall warnings are in effect. Those regions will see 15 centimetres of snow.